In the commuter suburb of NYC, Montclair, you would imagine options for mattress disposal would be easy. The truth is, a good mattress is hard to come by and getting rid of the worn out old one can prove difficult. So, why not seek help for Montclair mattress disposal? Rely on Mattress Disposal Plus – a name you can trust for fast, friendly and secure Montclair Mattress Disposal. It’s hard to move from one place to another and find space for household items that need to be disposed of like old mattresses, box springs and used furniture. This is why it’s necessary to seek out help when it comes to mattress disposal in Montclair. Many problems arise in Montclair when disposing of a used mattress yourself such as transportation and where to dispose of the old mattress safely. Typical trash sites do not accept old furniture and mattresses unless they have gone through processing already due to the hazardous materials that can seep into the ground. Call (877) 708-8329 or Book Online to schedule Montclair mattress disposal. 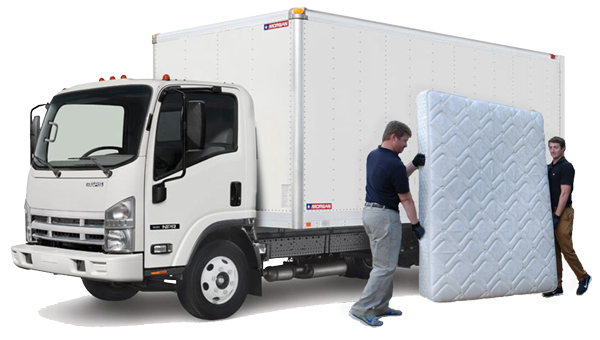 Once we arrive, we will do all the heavy lifting for your scheduled Montclair mattress disposal task. There will be no need to worry about getting rid of your old mattress again. We also offer other services like hauling off your old furniture. We are proud to offer our clients the satisfaction that comes along with quality and efficient service. We provide easy mattress recycling pickup throughout the Montclair neighborhoods and metro area. We pickup from your home or business with easy online scheduling. We can help with all of your Montclair mattress disposal needs. We offer mattress disposal and recycling services, as well as furniture removal, to all areas of Montclair including but not limited to Frog Hollow, Montclair Heights, South End, Upper Montclair and Watchung Plaza.